Putin's popularity extends to far right leaders of political parties in Western Europe. The European Parliament elections in late May saw a record number of Putin-admiring and Putin-emulating parties elected to Brussels. Some of these parties are anti-European Union, some are anti-immigrant, some are outright racist and anti-Semitic. Golden Dawn, the neo-fascist party in Greece, sent three representatives to the European Parliament. Whatever differences they have with one another, the one thing that unites them is an outspoken admiration for Putin. According to Doug Saunders, they represent Putin’s fifth column in the West. Among them are Nigel Farage, the leader of the United Kingdom Independence Party, Marine Le Pen, leader of France’s National Front and Geert Wilders, the head of the Freedom Party in the Netherlands. During the campaign, Farage praised the Russian President, calling him the world leader he most admires. In words widely reported in the Russian media, he added that the EU (throughout I am citing Saunders) has “blood on its hands” for supporting the democracy movement in Ukraine. (It should be noted that Farage's party, in terms of its electoral appeal in the UK itself, has dwindled to single number digits.) 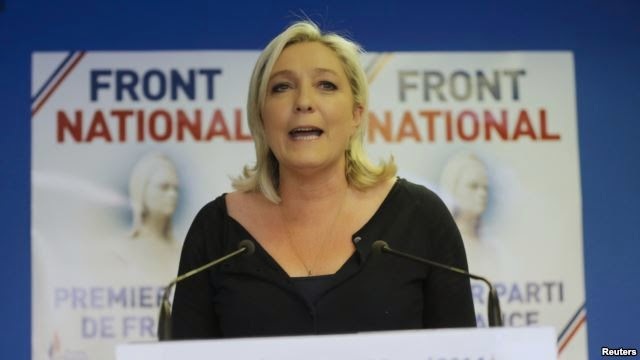 Le Pen, whose party placed first in the European Union election, is an even greater admirer. “I think he puts the interests of Russia and the Russian people first, so in this regard, I have the same amount of respect for him as for Ms. Merkel,” Le Pen added that “a lot of things are said about Russia because for years it has been demonized on U.S. orders,” as if America possessed the power to control European politics. She, like her comrades across Europe, wants to end sanctions against Russia and restore “traditional, friendly” relations. Wilders has blamed the conflict in eastern Ukraine not on Russia but on “shameless Europhiles with their dreams of empire.” In the minds of such politicians, Europe’s response to Moscow’s incursions hasn’t been slow and mild; it’s been excessive. “We have always been told the European Union stands for peace,” Wilders said. “Now, we know better—the EU stands for war-mongering.” Putin must be licking his chops at what Lenin derisively labelled "useful idiots," an epithet that applied to Western apologists of the Soviet Union regardless of its egregious behaviour. Putin's greatest appeal in the West is his contention that he is the upholder of traditional conservative values. These Westerners admire Putin's embrace of a Christian and an ethnic national identity for greater Russia, and his aggressive action against what they see as their enemies: European diversity and open borders, and minority groups—especially homosexuals and Muslims. Like them, Putin embraces the old conspiracy holding that Muslims are secretly plotting to take over Europe, a key plank for these parties. I think that one can argue that these voices, perhaps apart from Hungary, do not represent significant majorities in the West. Far more important is the stance undertaken by the leaders, the economic elites and the public in the Economic Union and by the leadership in America. Perhaps the most debated and widespread response has been the call for sanctions. When the Obama administration imposed minor symbolic sanctions on members of Putin’s inner circle, derisive voices could be heard both inside and outside of Russia. But these sanctions were merely a prelude for what could follow if Russia continued its belligerent methods. Obama recognized that these sanctions would not facilitate the removal of Russia from Crimea but they could be accelerated if Russia continued to destabilize eastern Ukraine. Sanctions can be effective as they were in the latter stages of apartheid in South Africa or in more recent times in Iran over its refusal to discuss its nuclear program; in both cases, their economies were taking a serious hit. Sanctions to work must allow the targeted country to make compromises over specific policy goals but are generally not effective if they include territorial demands or regime change. Writing an op-ed in the New York Times, Bernard-Henri Levy excoriates the European Union for acting so pusillanimously. France plans deliver to Russia one Mistral-class warship (the second one to be delivered later dependent on Russian good will) to hold on to its arms contracts for the jobs they are supposed to save in its naval shipyards. Germany, a hub of operations for the Russian energy giant Gazprom, is petrified of losing its own strategic position. Britain, for its part, despite recent statements by Prime Minister David Cameron, may still not be ready to forgo the colossal flows of cash that the Russian oligarchs’ deposit in English banks. 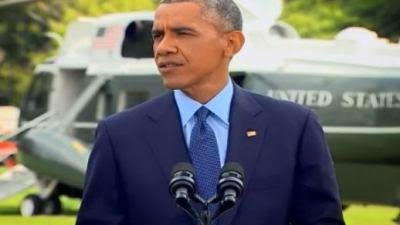 When the evidence clearly showed that Russia was directly participating in the civil war by firing artillery across the border, transporting more military equipment to the rebels and massing its own troops, Obama announced more substantial sanctions on Russia the very day that the airliner was shot down. America has imposed an arms embargo, placed restrictions on Russian banks’ ability to raise money in Europe and the United States. The administration added United Shipbuilding Corp., a state-owned firm created by Putin in 2007, to its list of military companies banned from doing business with Americans. They have blocked future (not present) technology sales to Russia’s lucrative oil industry in an effort to inhibit its ability to develop future resources. None of these penalties is expected to fully cut off Russian economic sectors from the West, particularly since Russian natural gas companies were excluded from the embargo to accommodate the Europeans who are much more dependent on Russian gas than oil. Moreover, Russia's largest and more influential bank, Sberbank, has not been targeted. Nor have credit card transactions. U.S. officials have said they’re holding these options in reserve in case Russia launches a full-on military incursion in Ukraine or takes a similarly provocative step. 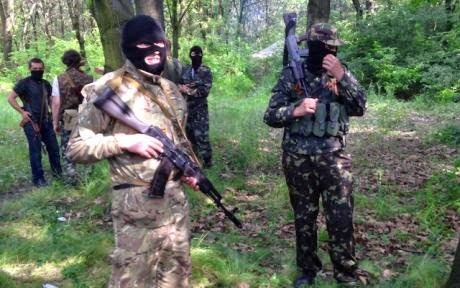 And the Obama administration is not considering providing arms to Ukraine’s government, as some Republicans have urged. “They are better armed than the separatists,” Obama said. “The issue is how do we prevent bloodshed in eastern Ukraine? We’re trying to avoid that.” It seems a sensible decision at least for the time being. If a more forceful and overt Russian military intervention occurs, the U.S. may have to consider sending drones and better communications equipment, and more economic support for the new government, which has been forced to spend heavily on the armed forces. The shooting down of the airliner likely tipped the balance in Europe for its governments to take a much tougher stand against the Russians. If they were willing to prevaricate or temporize before the terrorist act, they were under much more public pressure to act after the attack. According to Timothy Garton Ash: "Without that transformative event, it is unlikely Chancellor Angela Merkel could have persuaded German public opinion, and German business, of the need for tougher sanctions on Mr. Putin’s Russia” that occurred on July 29. The Obama administration and European governments deserve credit for agreeing on joint action against Russia after months of haggling and hesitation. Where do we stand now? Will the present round of sanctions work? Putin, when he is not on holidays, seems content to brazen it out and exploit whatever divisions he sees between the Europeans and the Americans. The billionaires fear that sanctions can hurt business and be harmful to the economy but are fearful of speaking out. 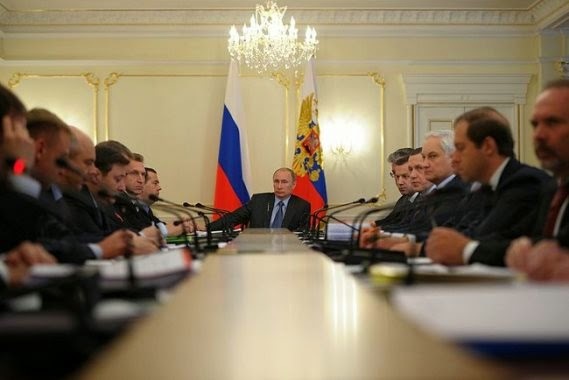 Putin has warned them that they had better pay their taxes. He may be a global pariah but Putin knows that he has the public behind him. But how long can he sustain that popularity if there is a serious downturn in the economy or he is forced to make concessions? Limiting access to new Western drilling technologies could be particularly painful because Russia is counting on developing Arctic, deep sea, and shale resources to replace its current reliance on Siberian oil fields, which are becoming depleted. Foreign investment has declined as massive capital outflows—some $75 billion from Russia so far this year, or more than for all of 2013. That reversal has sent the value of the ruble tumbling by some 9 percent and raised the price of imported goods. The GNP and the stock market will continue to decline—indicators of a recession. The pain will accelerate if Europeans agree to imposing sanctions on gas given that they are dependent on that resource for one third of their energy needs. That scenario is not likely to occur in the short run, but if that does happen or if Russia decides to retaliate with sanctions of its own by reducing the amount of gas to European countries, there are alternatives. Germany could boost gas imports from other suppliers, through pipelines from Norway and the Netherlands, and draw on existing stocks. Other countries reliant on Russian gas, like Italy and Turkey, could increase imports from North Africa and the Middle East. How sanctions will play themselves out is likely to be an ongoing drama for a long time.